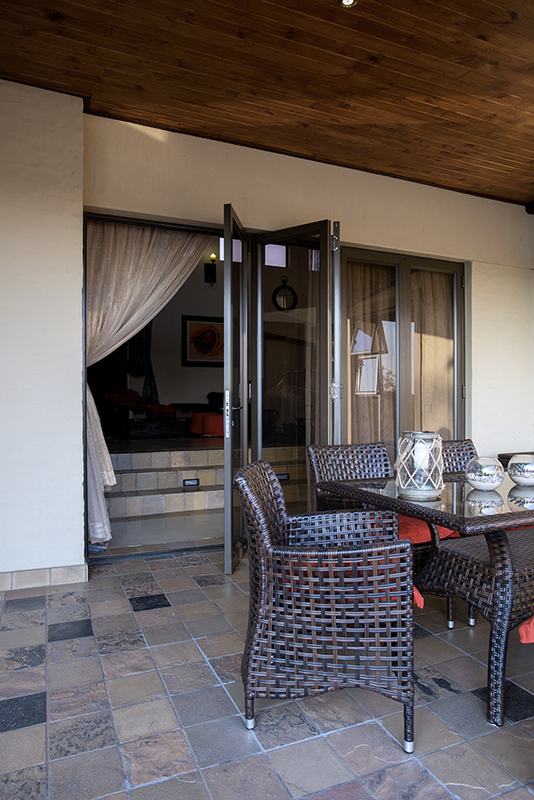 All sliding folding aluminium doors are built to AAAMSA and SAGGA regulations. BJ Glass & Aluminium makes use of the ever so reliable Vista Fold System. 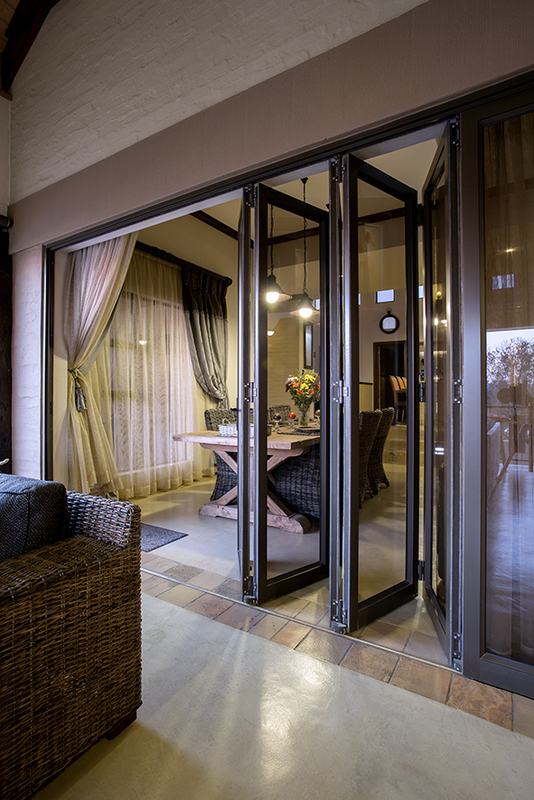 This sliding folding aluminium door system makes use of xxxxx bottom rollers, flush pull handles for easy closing of the doors and a double flush bolt with single action locking mechanism for easy locking of the doors. BJ Glass & Aluminium can also install a hook latch door lock for added protection against unwanted intruders. All sliding folding aluminium doors hinges and hardware are done in the same colour as the doors . The doors are glazed with toughened safety glass or 6.38mm PVB shatterproof safety glass. Sliding folding aluminium doors can also be glazed with any of our glass products such as double glazing or energy saving glass. BJ Glass & Aluminium can also glaze the sliding folding aluminium doors with CoolVue coloured glass such as Bronze or Grey in colour. 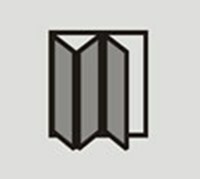 Alternatively there is wide range of non standard powder coating colours for the sliding folding aluminium doors to chose from.